You might not have realized it, but your iPhone already has basic support for .ZIP files built into iOS. 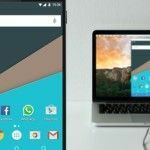 However, if you want to perform more complex operations like compressing files, dealing with password-protected archives, or uploading .ZIP files to cloud storage services, then you’re going to need a third-party app. It also pays to know how to do more with your .ZIP files, especially if they contain common office documents or comic book files Do You Love Comics? This Online Guide Is For You! Do You Love Comics? This Online Guide Is For You! This guide explains how to download comic books for free and legally, where to buy comic books that aren't free and even how to scan backups of comic books you already own. Read More you want to use with other applications. While the support isn’t as good, you can also use .RAR, .TAR and .7Z How to Extract Files From ZIP, RAR, 7z and Other Common Archives How to Extract Files From ZIP, RAR, 7z and Other Common Archives Were you ever faced with a .rar file and wondered how to open it? Fortunately, managing ZIP files and other compressed archives is simple with the right tools. Here is what you need to know. Read More archives on iOS. You might come across .ZIP files on iOS in an email, through the Messages app, or even when transferring files from a Mac via AirDrop AirDrop Not Working? Troubleshoot Your File Transfer Woes AirDrop Not Working? Troubleshoot Your File Transfer Woes Having troubles with AirDrop? We can step you through all of your available options. Read More . You can also share them via cloud services (including iCloud Drive), and some software like comic book readers or music creation apps A Quick Look At The iPad As A Music Production Tool A Quick Look At The iPad As A Music Production Tool When deciding whether one can justify the purchase of a tablet, rarely does "music production" factor into the decision-making process – but it should. Read More use them to import content. Archives are also a great way of moving multiple files in one transfer, whether it’s images, PDF files, or documents you need to work on. But iOS support for these files is basic, and read-only at best. If you tap a .ZIP archive in the Mail or Messages app, you’ll launch Quick Look where you are able to view certain files within, including images, PDF documents, and even Excel spreadsheets. If you are using the Mail or Messages app, tap the archive to open it, then tap the “Share” button in the top-right of the screen. From here you can choose another application, and the file will be transferred. If you are using AirDrop, you’ll be asked what you want to do with the file once it has successfully transferred to your device. If you hit Cancel it will be discarded. Third party apps, like Dropbox or Google Drive may display the contents of an archive file (and some will decompress it for you), and most will include access to the “Share” button or an option to “Open in…” another app. If you come across an archive while browsing with Safari, you’ll have to use the “Open in…” option, as the Quick Look feature won’t work here. While Quick Look is useful for checking a spreadsheet or document file quickly, it won’t allow you to extract the files or make any changes to them. There is also no way of creating a .ZIP archive natively on iOS, so if you want to throw some documents and images together then send them to a friend or cloud storage, you’ll need a more powerful app. The following includes tools that allow you to open more obscure formats like .RAR, .TAR, and .7Z, as well as password-protected archives. Many will connect directly to cloud services, allowing you to upload and download files faster than using individual apps. 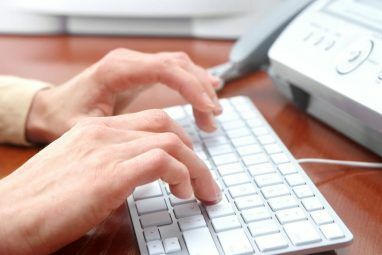 Most have a good range of all-in-one document reading abilities too, like the ability to open a large range of filetypes, print documents, append files to an existing archive, rename, and store your files for use elsewhere. App developer Readdle is responsible for some of the better work-focused iOS apps out there (like Calendars 5 $7 for a Calendar App? Is Calendars 5 Really Worth It? $7 for a Calendar App? Is Calendars 5 Really Worth It? Apple has done a pretty good job with the default calendar application on iOS, so paying $7 for Calendars 5 might seem a little crazy... Read More ), and Documents 5 is one of their free offerings. There’s no in-app purchase to upgrade the app to a pro version and no subscription required to unlock missing features. The app allows you to store and decompress .ZIP archives, then do other things with the files within. Preview files right there in the app, send them to other apps, save images to your Camera Roll, or organize and store them right there on your device. There’s excellent support for uploading files to a huge range of remote servers, including FTP servers, major cloud services, and SMB network shares Easily Share Files Between Windows 7, 8 and Mac OS X Easily Share Files Between Windows 7, 8 and Mac OS X Cross platform file sharing sounds complicated, but it doesn't have to be. Here's how to get a PC and and a Mac to share files with each other. Read More . You can also download files directly from Dropbox and Google Drive, or use Wi-Fi file transfer to grab archives. If you only need read access to manage archives, decompress incoming .ZIP files, or upload files elsewhere, Documents 5 lets you do it for free. A completely free app, zip rar tool offers a complete set of features you’d expect to see from a paid offering. It includes support for Dropbox and Box cloud services, Wi-Fi files transfer over a local network, and even handles slightly more obscure archives like .RAR and .7Z files. As the app functions as a file manager too, you can use it to compress files you have imported into .ZIP files for use elsewhere. The app lacks support for password-protected archives and comes without the layer of polish you’d expect from paid apps. But it’s a functional bit of software that will suit most users, and it’s still being actively maintained by the developer. Of note are a few added niche features, like the ability to passcode-lock the app, access to a secret folder for hiding files, and support for a range of document formats. GoodReader is just like Documents 5 in terms of read access and file abilities, but it also allows you to compress files and create your own archives right there in the app. Archive operations aren’t at the center of this one, and it’s a versatile piece of software with a range of uses that’ll cost you just short of $5. GoodReader really excels when it comes to document management, in particular PDF annotation, editing and signing. You’ll get access to a large range of upload and download destinations, the ability to comfortably handle a huge number of files, background syncing with remote servers, and a few specialist features like compatibility with Bluetooth pedals — ideal for musicians who want to turn a page. The last two apps on this list are ultimately very similar in terms of features, and both come with a free and paid option. iZip’s free version is surprisingly full-featured, allowing you to create archives from imported files, extract password-protected archives, and handle a large range of document formats — as you’d expect. 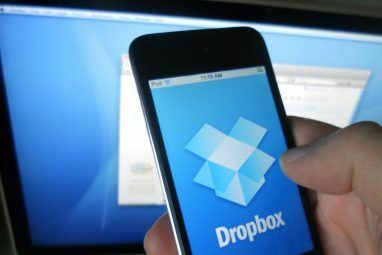 If you’re willing to go Pro, you can connect your cloud service in-app, which allows you to download and handle archives in less time than you otherwise can using the official Dropbox or Google Drive (and so on) apps. You can also upload directly and create password-protected archives by handing over your $4. Just like iZip, WinZip has an impressive range of free abilities including opening and creating archives, managing the files stored within, and previewing document formats. The $5 Pro version includes support for direct cloud service connections for fast access, plus the ability to compress files stored in your cloud storage in a few taps. This is just the tip of the iceberg in terms of available archive utilities available on iOS, but they do tend to blur into one another in terms of features after a while. 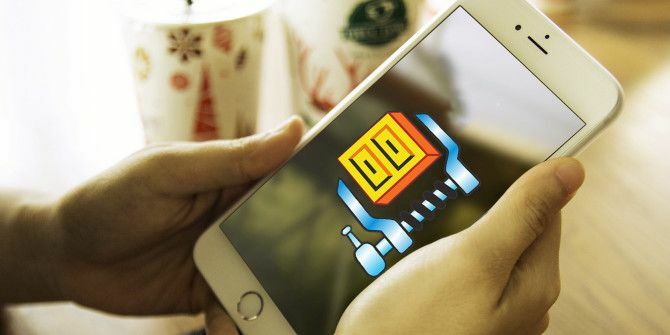 Other apps may integrate archive management with other features, but iZip and WinZip have it all in terms of what you can do with .ZIP files on Apple’s mobile platform. It’s also worth checking to see whether apps you already use include archive management, it’s likely that many document readers offer at least read-only access and some other similar tools like file transfer utility Transmit [No Longer Available] allow you to do even more. Do you use archive files regularly on iOS? Let us know what you use them for in the comments below. Explore more about: Cloud Storage, Digital Document, File Compression. Which iPad Should You Buy? Find the Best iPad for YouDid You Treat Yourself To Pokémon Go Malware?